The Lakers will welcome LeBron James back to full practice next week, but he will miss at least two more matches before that happens. 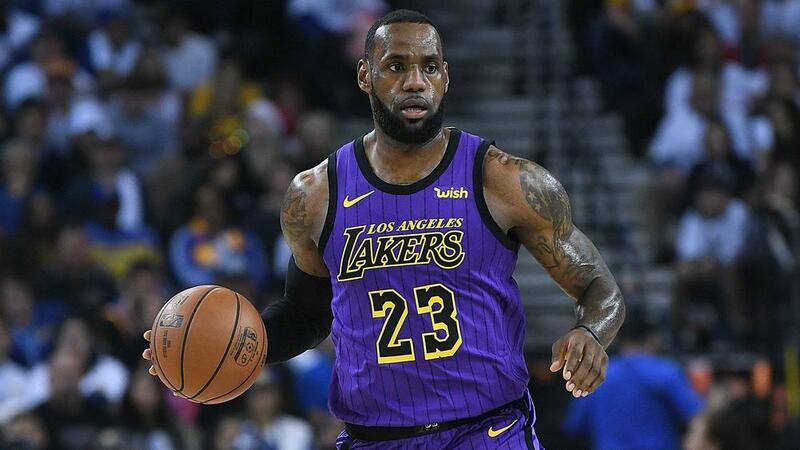 LeBron James will return to full practice next week, but will miss the Los Angeles Lakers' upcoming games against the Oklahoma City Thunder and Houston Rockets. The 34-year-old superstar, who has not played since straining his groin against the Golden State Warriors on Christmas Day, had his injury re-evaluated on Wednesday, having missed his side's last 11 contests. He will not travel with the Lakers for their fixtures against Western Conference rivals the Thunder and Rockets on Thursday and Saturday respectively. Games against the Warriors, Minnesota Timberwolves and Phoenix Suns follow next week, though James' availability for those matches remains uncertain after the Lakers' update did not specify how quickly he would be back after returning to the practice court. He had participated in half-court shooting and passing drills during the Lakers’ shootaround on Tuesday and head coach Luke Walton spoke of his optimism over how quickly his key player would make his comeback. "James, who will not travel with the team on the upcoming two-game road trip, has been cleared to return to practice commencing next week, and progress towards a return to game play thereafter," read a Lakers statement after his re-evaluation. The Lakers' update came after his agent, Rich Paul of Klutch Sports, stressed James would not rush his recovery, telling The Athletic: "However long it takes, it takes. We're not on nobody else's timeline." The Lakers (24-21) are 4-7 without James and have slid to eighth in the Western Conference standings. He underwent an MRI the day after the injury and revealed on Twitter he "dodged a bullet", but he will now take his total of missed games to 13, tying the most he has ever missed in any season of his NBA career, and the most he has ever missed consecutively, per ESPN. James had played in 156 consecutive matches prior to suffering the problem in his left groin.